After a making history at Sevilla FC by winning three UEFA Europa Leagues in a row, Unai Emery decided to accept the offer to become Head Coach at PSG for two seasons, one of the most ambitious projects in the European football history. After just a few weeks at the club, Emery won his first trophy, the French Super Cup, comprehensively beating Olympique Lyonnais 4-1. 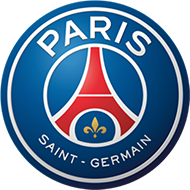 Although they were unable to win the Ligue 1 title, PSG completed a treble of trophies by beating AS Monaco 4-1 in the League Cup and then defeating Angers SCO 1-0 in the French Cup final. In Europe, PSG were knocked out by FC Barcelona in the last 16 of the UEFA Champions League. 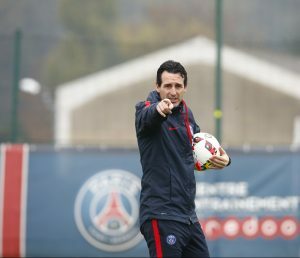 In his second season at PSG, Unai Emery’s side produced the best ever start to a Ligue 1 season, taking 35 points from the first 13 matches. Before that, they had beaten AS Monaco 2-1 in the French Super Cup. In Europe, PSG went out in the last 16 stage, this time losing out to Real Madrid CF, after having put in some brilliant performances in the group stage. The season ended with a clean sweep of domestic titles, with PSG comfortably winning the Ligue 1 title, lifting the League Cup with a 3-0 win over AS Monaco, and adding the French Cup to the season’s trophy haul by beating surprise team Les Herbiers VF 2-0. After not extending his contract, Unai Emery moved to the Premier League to take over the reins at Arsenal Football Club, the next exciting challenge in his successful career.